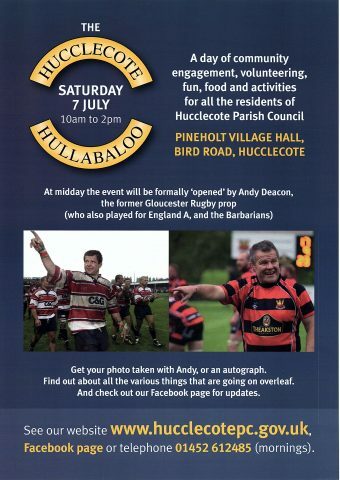 Join us at the Pineholt Village Hall for a day of community engagement, volunteering, fun, food and activities for all the residents of Hucclecote Parish. 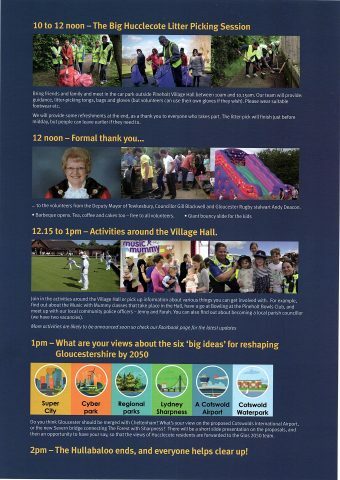 We will have information on local groups, including yoga, singing, the Gloucester Camera Club and Music with Mummy. A representative from Age UK will also be on hand to answer questions and give advice. Please also come and speak to your local councillors, we look forward to seeing you. Please let us know if you are coming to the litter picking session by commenting on our Facebook event. See our flyer below for further details.